Diamond Prices varies depending on the quality of the diamond. They are usually priced based on the 4C's, the cut, clarity, color and carat. The main topic, however, is the pricing trends from online diamond merchants. These trends are based on the supply and demand for loose diamonds, both the round brilliants and fancy shapes. The most trusted source that online jewelers based their prices in the industry on, are the ones that updates prices every week for the different loose diamonds. This updated inside information is not intended for consumers, however, you can find out the overall pricing trend for the diamond industry on a week to week basis at the websites on diamond prices. One website is called the diamondse.info. 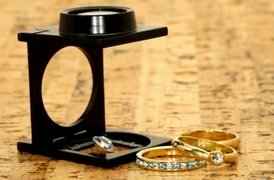 This website has information about diamond prices that'll help you find the best time to buy diamonds. Prices from the diamond cut are based on parameters, the illumination conditions, the shapes and optical characteristics of the gemstone. The clarity features such as blemishes, the flawlessness of the diamond, internal inclusions (tiny bubbles and cracks), scratches, and polish lines set the price. If the clarity of the diamond is imperfect, then its price will be lower, but, if the diamond is perfect and flawless, its very expensive. Most shoppers and diamond merchants compare prices of diamonds to find the best gem for their money. Other factors that effect pricing are the color, carat and care of diamonds. 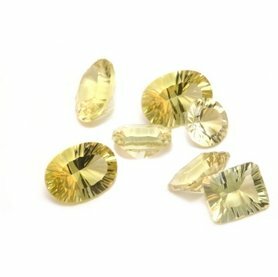 The most expensive gemstones range from colorless to slightly yellow in color, and the least expensive gemstones are very yellow. 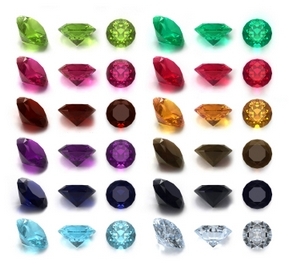 The colored diamonds or fancies are: red, blue, green, black and other various colors. These gems can be very expensive if they're rare or hard to find. The carat of the diamond, measures its weight and size. The larger the diamond is in weight and size, the higher the price. So if you compare prices on diamonds, the smaller ones cost less. Sometimes, it is easier to buy diamond jewelry than loose diamonds. 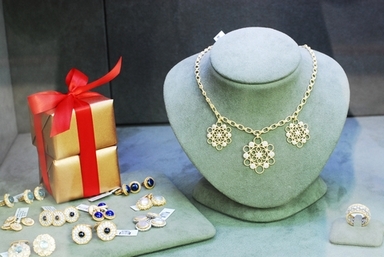 Diamond jewelry comes in various prices. You can buy these gemstones at wholesale prices. Most jewelry stores have discounts or 1/2 off sales for their customers and some jewelers are wholesalers. The care of diamonds is the 5th C. Caring for your diamonds requires cleaning them and then placing them in a soft pouch when they are not worn. You would want to carefully clean your diamond with a clean, soft, damp cloth thoroughly after wearing it. Cleaning the gem this way will make it more beautiful and lusterous. It is better to keep your diamonds away from dirt, hairspray, household cleaning products, or grease. Diamonds are hard, however, they can still chip, scratch or get damaged from a hard blow. A clean diamond does not effect the market value. Jewelers clean their diamonds before selling them to customers. Inconclusion, when buying diamonds, you might want to compare prices of loose diamonds and diamond jewelry. 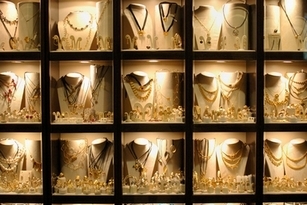 Shopping around for different jewelers can also help you find the best prices in your town. Fore, as stated above, some jewelers are wholesalers, discounters, or many jewelry retailers have 1/2 off sales. When you compare prices, you'll most likely find the best deals for your money.